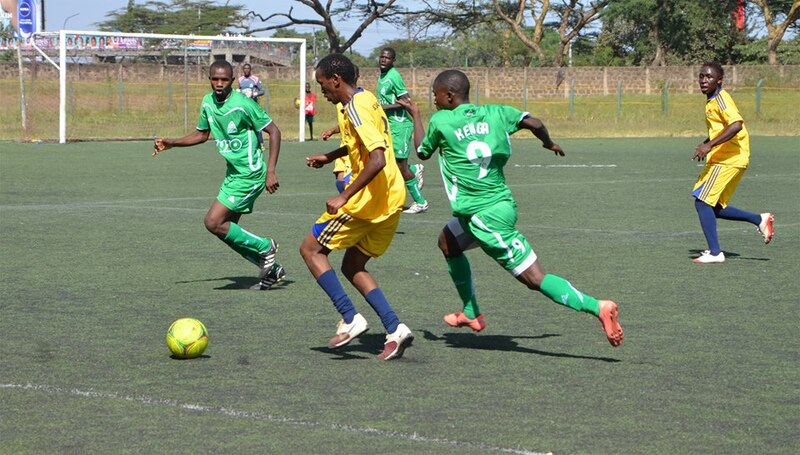 Gor Mahia Under 19 side beat Bondo United by a solitary goal in a friendly match played at the Bondo University Grounds on Friday afternoon. The lone goal was scored by Amos Nondi at the stroke of the half hour mark. Speaking after the match, the team’s Head Coach Charles Korea Omondi lauded the players saying they played well. -It was a very good match and I was impressed with the performance of the team. 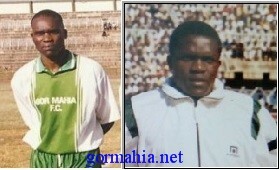 This is definitely a team that should be maintained for the future, Omondi told futaa.com. 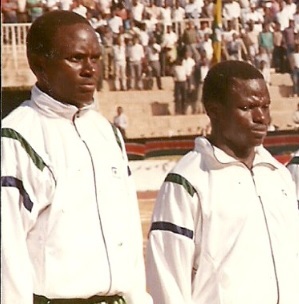 The match was organised to commemorate the life of Kenya’s first Vice President, Jaramogi Oginga Odinga. Starting XI: Gradus Ochieng (GK), Simon Pierra, Edward Odongo, Collins Omondi, Kevin Oduor, Joseph Kariuki, Amos Nondi, Brian Chege (CPT), Herbert Kopany, Evans Amimo and Kevin Kwasila. Subs: Ezekiel Onyango, Pascal Ogweno, Fredrick Otieno, Kennedy Ochieng, Cliff Nyakeya, Colonel Owino and Stephen Onyango. 2013 Goal Kenya Player of the Year David ‘Calabar’ Owino has been appointed the deputy captain at Kenya Premier League champions Gor Mahia. Owino, who beat a host of players among them Southampton midfielder Victor Wanyama to the inaugural trophy, replaces Moses ‘Dube’ Odhiambo and will deputize for goalkeeper Jerim Onyango in coming season. Odhiambo is among players to have been released by K’Ogalo and has since left for trials in South Africa with unknown club after penning a deal with Thika United. “I want to thank Gor Mahia management more so the technical bench for giving me the opportunity to be deputy captain. I was not expecting to be bestowed with such a great honor but I now expect and promise to do my best,” Owino told Goal. Gor Mahia face Sofapaka in Kenya Charity Cup tournament on Sunday at Nyayo Stadium. The other match will pit GOtv Shield Cup champions AFC Leopards’ against Mathare United. Gor Mahia captain Jerim Onyango believes the team has what it takes to win Sunday’s Kenya Power Charity Cup. The team takes on defending champions in the opener and Onyango remains confident they will get past their opponents. “Last year, we reached the final. This time around we are looking at lifting the trophy. The fact is we have a strong squad that is capable of winning the trophy,” Onyango told Goal. Gor Mahia lost to Sofapaka on post-match penalties in the final of last year’s tournament which was also the inaugural edition. Onyango says winning this year’s edition remains important to Gor Mahia as it will boost their performance in the first round of their continental assignment. Apart from Gor Mahia and Sofapaka, other teams that will take part in the Charity Cup are AFC Leopards’ and Mathare United, who play in the other semi-final. Gor Mahia Head Coach Bobby Williamson has expressed hope that the returning George Blackberry Odhiambo and Rama Salim will carry on with the good job they previously did for the team. Asked about his account on the duo’s comeback, the scot said he was happy with their return and hoped that they will pick from where they left. -We are happy for their return, they have done well in the past for the club and hope will do the same this time round, he said. -They are good players though we cannot judge them in three or so games but are yet to disappoint the technical bench. Ugandan defensive player Ivan Anguyo has confessed he was shocked to be released by Gor Mahia at the end of last season, and is now keen to show his worth when he lines for Kenyan Premier League newcomers Kenya Revenue Authority this year. “To be honest, I did not see that one (release) coming. My assessment was that I had an all round impressive performance last season and scored some crucial goals for the team that should have merited another chance for me,” the burly player noted. KRA coach Ken Kenyatta has confirmed the former Kampala City Council (KCC) player, who’s penned a one-year deal, will be expected to play an influential role at the club because of his ability and experience. “He can play in a variety of positions including central defense and defensive midfield just like (new AC Milan signing Micheal) Essien. If you watched Essien play under Mourinho at Chelsea and Real Madrid, you’ll notice that he could switch into several positions during a game. Anguyo brings that quality which is very important for my team, besides the important fact that he has the experience and exposure in the top flight and will thus assist my players,” Kenyatta noted. Anguyo made a goal-scoring debut for KRA when they trounced Nakumatt 2-0 in a friendly match played on January 21 at Kenyatta National Hospital. “I also seek to have a positive impact on whichever team I play for. I also want to help the players here improve, plus also try protect them from bullies during matches,” revealed Anguyo, who is known for his no-nonsense approach to the game. The two have so far done well in the friendly matches the club has played against Super Loaf FC, Nakumatt FC, Mumbi Nationale and MOYAS FC with Rama scoring in the latter. Kenya Premier League champions, Gor Mahia, beat their midweek opponents, Moyas FC, 3-0 in a friendly match played on Tuesday 28 January at the City Stadium from 1500Hrs. All three goals in the match came in the first half through Rama Salim, David Calabar Owino and former Kenyan Premier League [KPL] player of the year George Odhiambo. Rama Salim opened the score line in the 22nd minute before Calabar headed in a George Blackberry Odhiambo corner to double the lead in the 31st minute. Dan Sserunkuma put the tie to rest eight minutes later, after he tapped in a Shaban Kenga cross. This was Gor Mahia’s last friendly match of the pre-season. Starting XI: Jerry Onyango, Musa Mohammed, David Owino, Israel Emuge, Godfrey Waluismbi, Baba Kizito, Anthony Akumu, Shaban Kenga, Rama Salim, George Odhiambo and Dan Sserenkuma. Subs: Joel Bataro, Kevin Oluoch, Jared Obwoge, Dan Onyango,Solomon Nasio, Joseph Kariuki, Innocent Mutiso, Haron Shakava and Herbert Kopany. The Gor Mahia under 19 side will on Friday 31st January face lower-tier side Bondo United in a friendly match in Bondo. The development has been confirmed by the team’s Head Coach Charles Korea Omondi. -It’s a good chance for the youngsters and I believe they’ll make the best out of it, he added. The match will be played at the Bondo University Grounds from 1600 Hours. Uganda Cranes left-sided defender Godfrey Walusimbi is enjoying his life at Gor Mahia as he looks forward to the start of the 2014 Kenyan Premier League season. The pint-sized player has already impressed the Gor Mahia following with his mode of play in the three friendly matches that he has played. He says the move to Gor Mahia early this month was good one and he hopes to win trophies with the KPL defending champions. 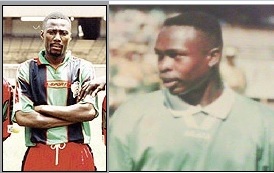 “When Bobby (Williamson-the Gor Mahia head coach), sought me to join the club, I did not think twice. He is a great coach and we have worked well with him during the time he was coach of Uganda Cranes,” said Walusimbi. “He is a great coach and with him I believe he will help me be further my career. Gor Mahia is a big club, they are the defending champions and I am looking forward to playing in the KPL and also in the continental matches,” he added. The former SC Villa defender signed a two-year deal at the club to join other Ugandan players Israel Emuge and Daniel Sserunkuma. There is also midfielder Geoffrey “Baba” Kizito who signed in with Walusimbi. Walusimbi, had returned to SC Villa late last year after disagreeing with DR Congo club Don Bosco over contractual issues. “I have settled well at Gor Mahia. My club mates have really welcomed me well and I am feeling at home. My countrymen are also here so I am missing nothing,” he said. Walusimbi has already played in three friendlies matches against Supa Loaf, Nakumatt and Mumbi FC. But he says he cannot wait for the league to begin. “I am looking forward to playing against the big teams of Kenyan football. I am impressed with the passion here,” he said. Walusimbi fills in the left back position that has been a weak link in the Gor Mahia squad. It means coach Bobby Williamson will move last season’s KPL defender of the Year David Owino to his preferred central defence role alongside another Ugandan Israel Emuge. Gor plays US Bitam of Gabon in the preliminary round of the Africa Champions League in a fortnight and they start the defence of the league title with a tie against City Stars. Skipper Jerim Onyango is confident that K’Ogalo will have a good season in 2014 despite the fact that they have a busy and tough calendar. Jerry, who led Gor Mahia to their 13th premiership title last season after an 18-year wait, remains confident that the champions have done a lot in pre-season and are ready to face the season with particular interest being doing well in Caf Champions League. “We are very ambitious going into the Champions League and are all working hard to reach the group stages. It will be a huge achievement for us and I am hopeful we can do it. The players are ready and everyone is focusing on that,” Onyango told Goal. Dan Sserunkuma is happy to have Rama Salim and George Blackberry Odhiambo at the club. The two have arrived back at the club in the current off-season and have made a striking impact at the club already, playing a good part in pre-season matches for the KPL champions. Sserunkuma is happy to have the two at the club, saying they are a better outfit with the live-wire pair on board. – I am happy to have the two players at the club. They are both very talented and they will offer us a better chance of performing well this season if they are at the club, he said. Gor Mahia will play second-tier side MOYAS FC in a friendly match scheduled to take place at the City Stadium on Tuesday afternoon. The Kenyan Premier League (KPL) champions were scheduled to face Ugandan side Victoria University in what would have been their last friendly match of the preseason but that was cancelled and they’ll now face the National Super League (NSL) side. -Thus, after our KP Charity Cup engagements, we will have a whole week to prepare for US Bitam, he added. Gor Mahia came from a goal down to edge out Mumbi Nationale 2-1 in a friendly match played at City Stadium on Saturday. The Kenya Premier League champions went down in the opening minutes of the match when John Mutinda scored from a Larry Otieno’s cross. Ugandan import Dan Sserunkuma leveled matters for K’Ogalo from the penalty spot in the 14th minute after George ‘Blackberry’ Odhiambo was brought down inside the box. Gor Mahia should have extended the lead from another spot-kick but Rama Salim shot wide. Second half substitute Israel Emuge won the match for Gor Mahia, tapping home from Sserenkuma’s cross. A potential ‘Mashemeji derby’ is in the offing after Gor Mahia and AFC Leopards’ pooled Sofapaka FC and Mathare United respectively in the semi-finals of Kenya Charity Cup. AFC Leopards’, who on Tuesday had threatened to pull out of the tournament, topped in the votes afer garnering 11875. Mathare United came second on 11348 votes, Gor Mahia third on 9804 while Sofapaka finished fourth on 3636 votes. Sofapaka are the defending champions having won the inaugural edition held in 2013 at Kasarani. The four teams will compete on February 2 at Nyayo Stadium in a day long festival. The opening match will pit AFC Leopards’ against Mathare United at 0900hrs before Gor Mahia take on Sofapaka in a repeat of the 2013 edition at 1130hrs. Winning team will carry home Sh1 million, runners-up rake in Sh600, 000 while the third and fourth teams will each pocket Sh300, 000. Gor Mahia are still trying to sign striker Mungai Kiongera who reportedly left the Gor Mahia camp to return to his old club KCB. Gor Mahia Scottish coach Bobby Williamson believes his side is ready for continental challenge but is still not impressed by some of his players. Williamson says most of the new signings are working well with the rest of the squad but some are yet to convince him they are up to the task. After watching his side battle to a one-all draw with lower division side Nakumatt FC in a friendly match on Wednesday afternoon at the City Stadium, Williamson said some players will have to pull up to make the cut this season. “I have given every player a chance today to play. I can say a bulk of the players are ready for the season but there are some who will have to work hard. It is not going to be a free ride for them into the team. I am not ready to accommodate their weaknesses,” said the Scotsman who guided Gor Mahia to its first league glory after 18 years last season. “From the way we played, I think I already have my starting team. Some of the new signings have shown tremendous improvement, some are still slow against my liking,” he said. Gor Mahia, who face US Bitam of Gabon in the preliminary round of the Africa Champions League on February 8 in the first leg in Nairobi, signed 11 players to bolster its squad for the continental challenge. Among the new signings are Ugandan duo of Godfrey “Baba” Kizito and Goeffrey Walusimbi who impressed in the friendly with Kizito manning the midfield alongside Anthony Akumu and Walusimbi taking charge of the left fullback position which has for some time been Gor Mahia’s weakest link. Other new comers to K’Ogalo are the Western Stima trio of David Juma, Daniel Onyango, who was the scorer of Gor Mahia’s equalizer against Nakumatt, and Kevin Oluoch. There is also Jared Obwoge from Chemelil Sugar and Bandari’s Shaban Kenga, Haron Shakava and Herbert Kopany. The league champions also saw the return of George ‘Blackberry’ Odhiambo and Rama Salim. Odhiambo, the KPL player of the year in 2010, showed some flashes of brilliance same as Rama but it was evident they are lacking match fitness. However, Williamson said that should not be a cause to worry as he expects them to be in top shape by the start of the season.